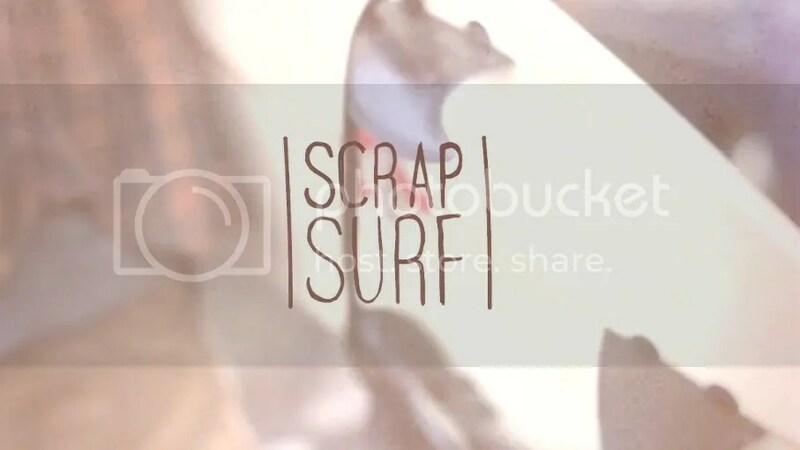 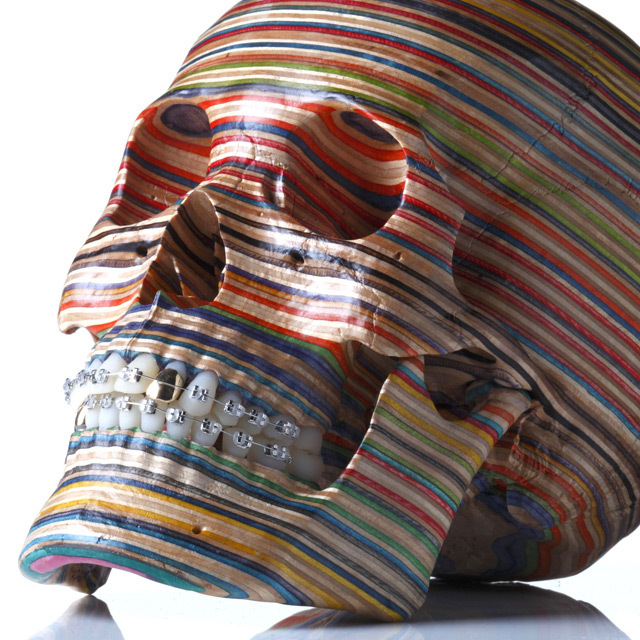 A new work by Hiroshi a sculptor who repurposed skateboard decks to various sculptures.He will be opening his second solo show at Jonathan Levine Gallery in New York on January 12. 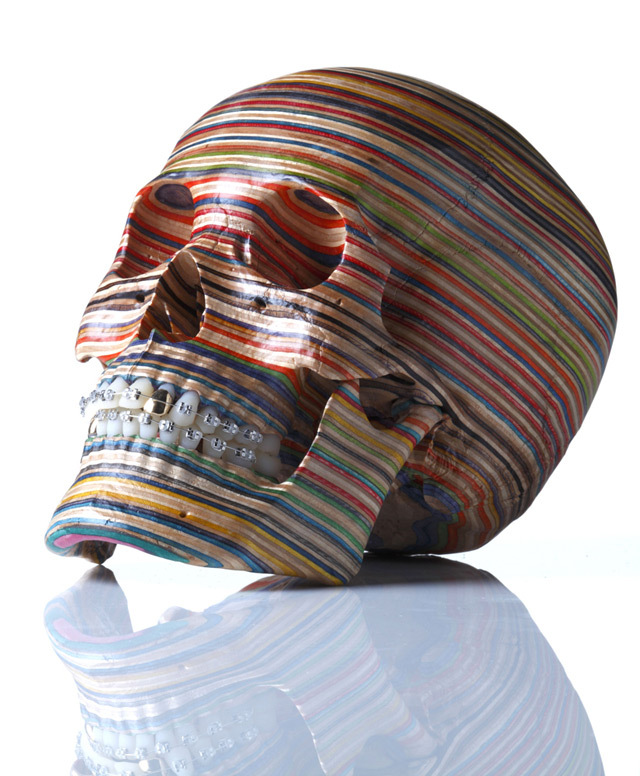 NEW YORK, NY (December 8th, 2012) – Last Rites Gallery presents Waking the Dead, new works by Chris Haas, in what will be his first solo show at the gallery. 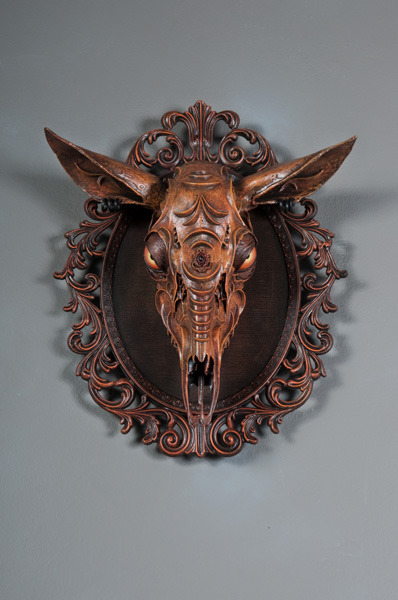 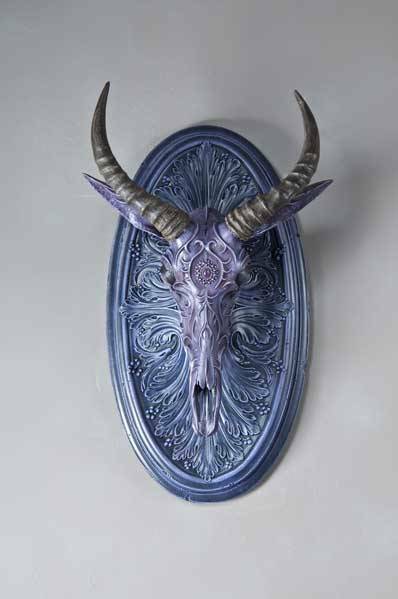 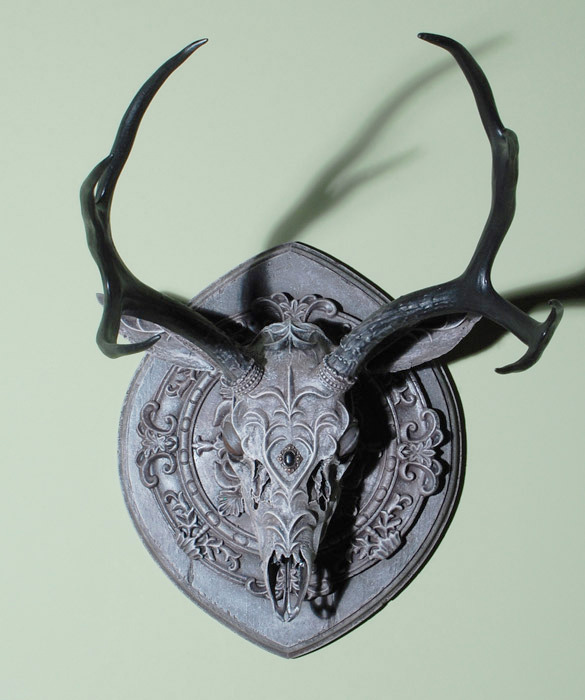 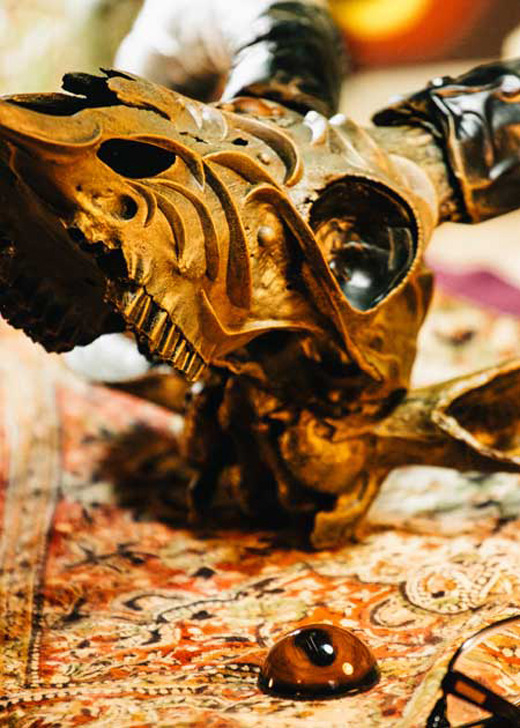 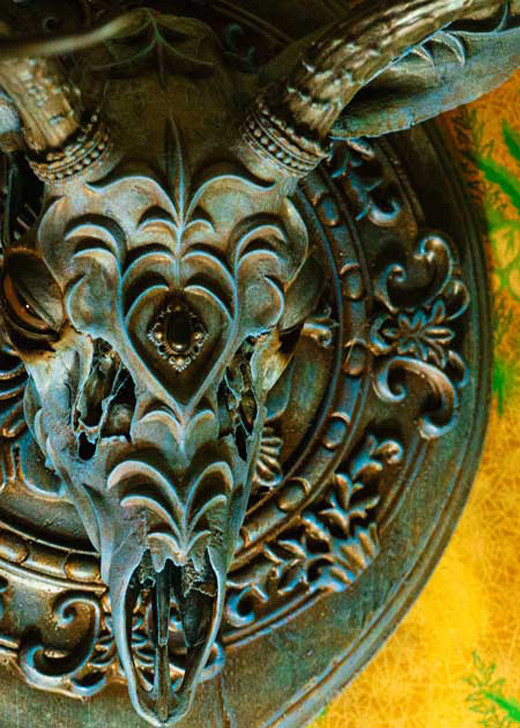 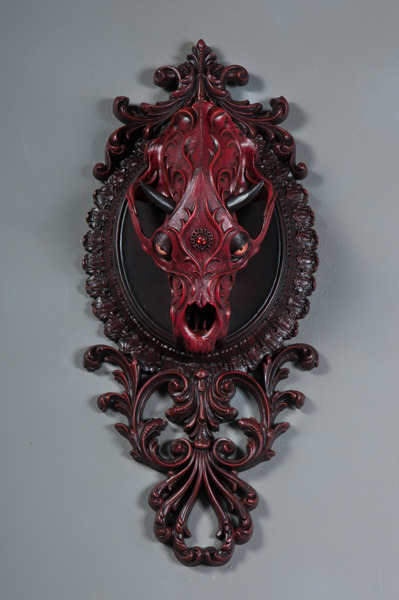 Waking the Dead includes nine artistically and uniquely rendered animal skulls that even after death, transpose life and take on a newfound beauty and purpose. 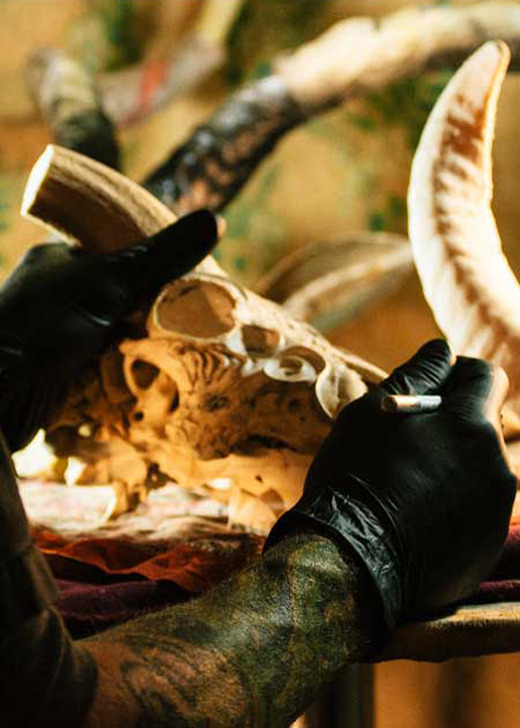 In this exhibition, Haas’ skulls are wide-ranging species collected from various parts of the globe and decorated with thoughtful, revered precision resulting in an elegant homage to the animal itself and ever present, cycle of life. 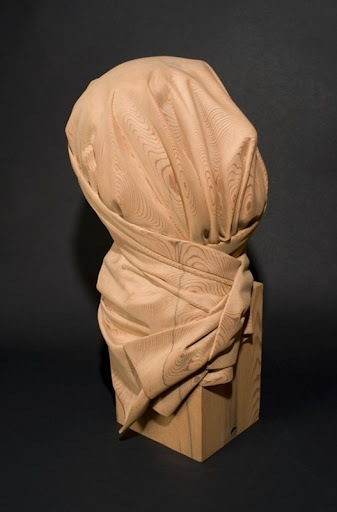 Haas work reminds us of the transience of life and that even beauty and sacredness follow all living things beyond the material world. 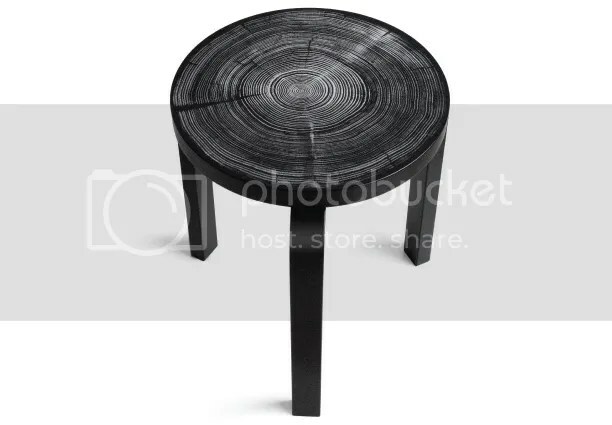 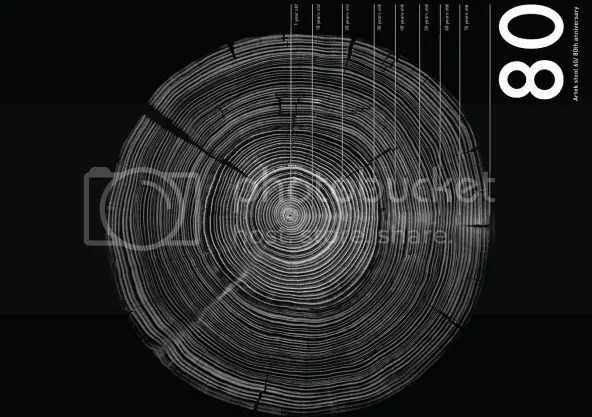 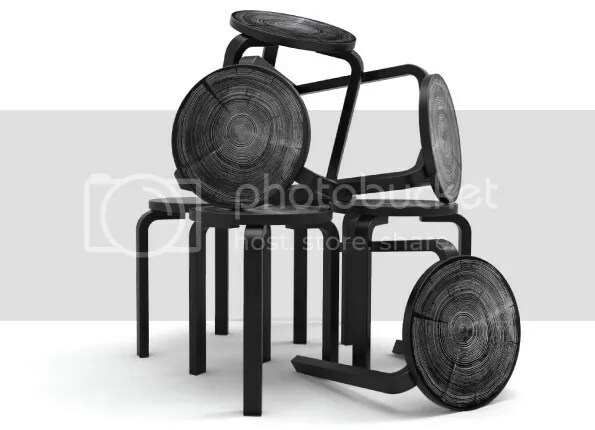 To celebrate Alvar Aalto’s creation Stool 60‘s 80th anniversary , Nao Tamura has created a stool of tree rings that have recorded an 80-year history. 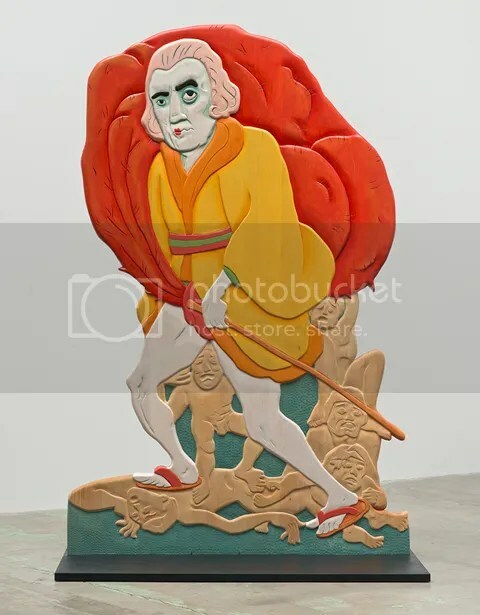 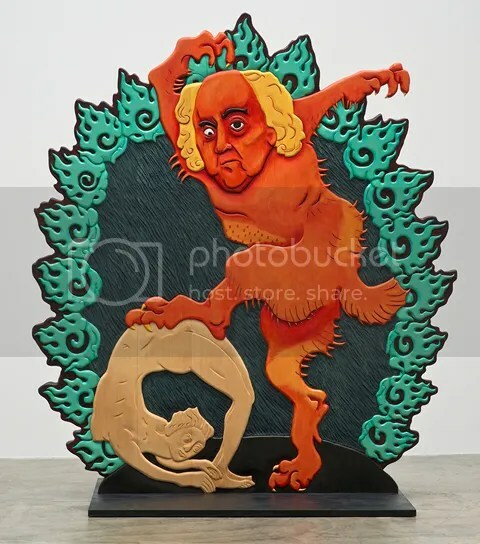 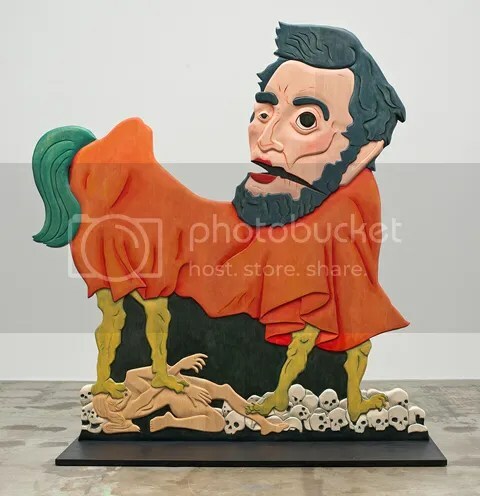 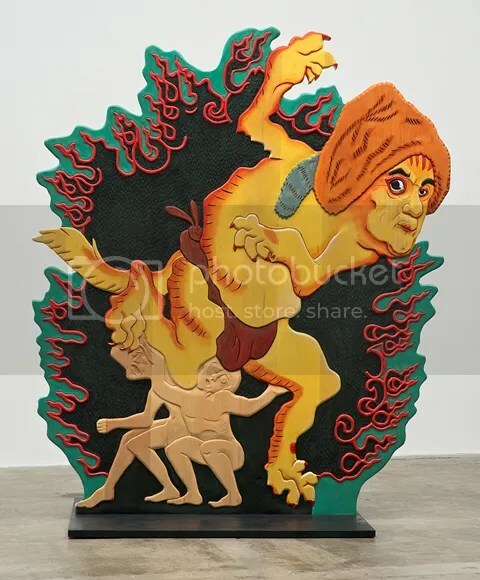 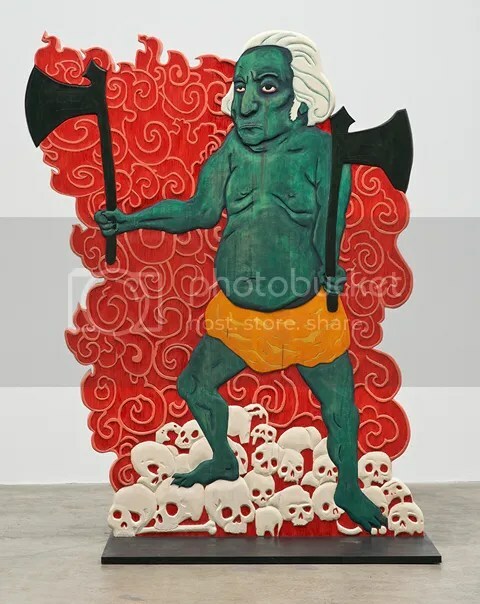 A series of Tibetan Buddhism /Hindu style 2D wood sculpture name ‘In Defense Of Ghosts’ exhibition by Los Angeles artist Erin Cosgrove at the Angles Gallery in Culver City. 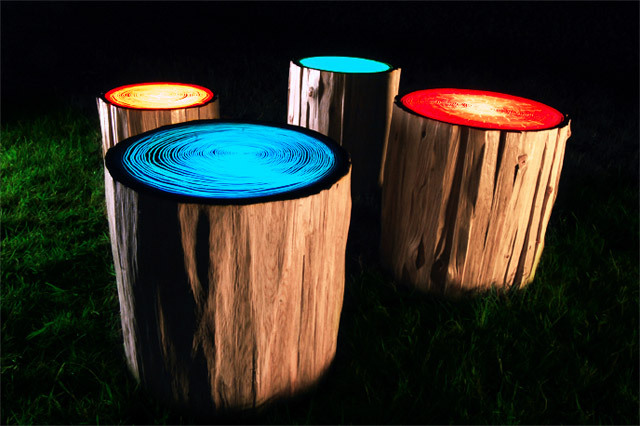 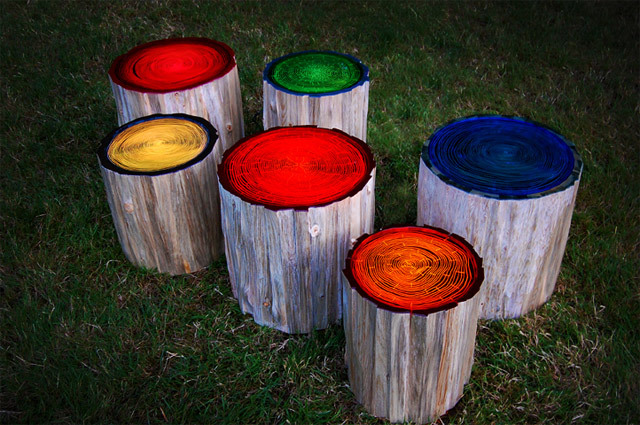 These funky tree lights were designed by Judson Beaumont of Straight Line Designs, a furniture design firm out of Vancouver. 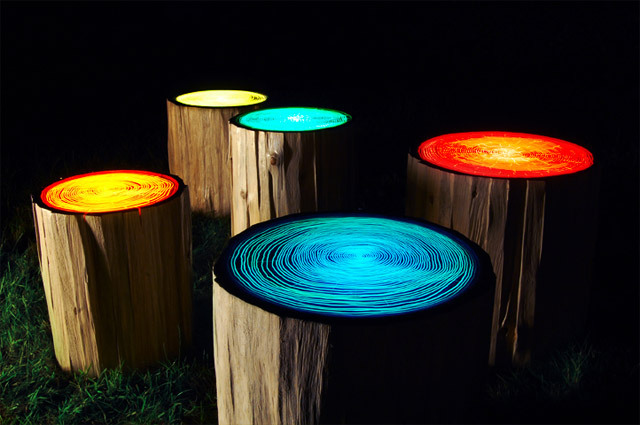 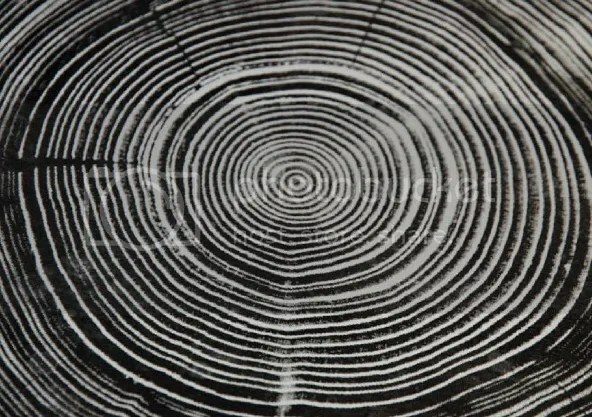 Called Tree Rings the lights are made out of a beetle pine shell topped with mirrored Plexiglas that allows the embedded cool fluorescent light to shine through in the dark. 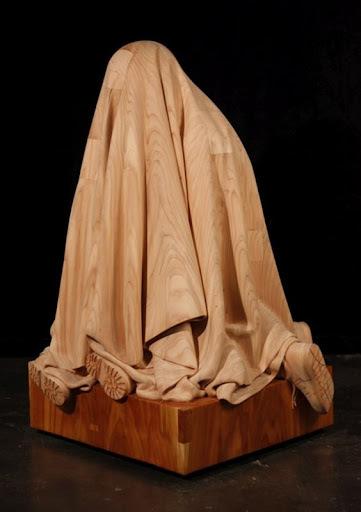 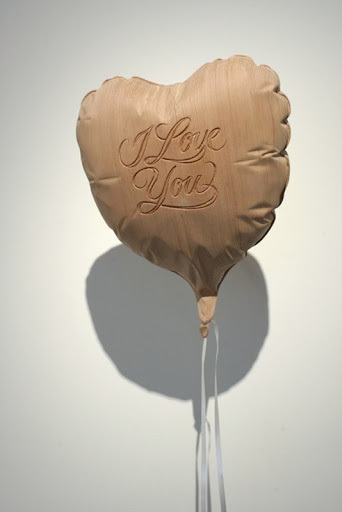 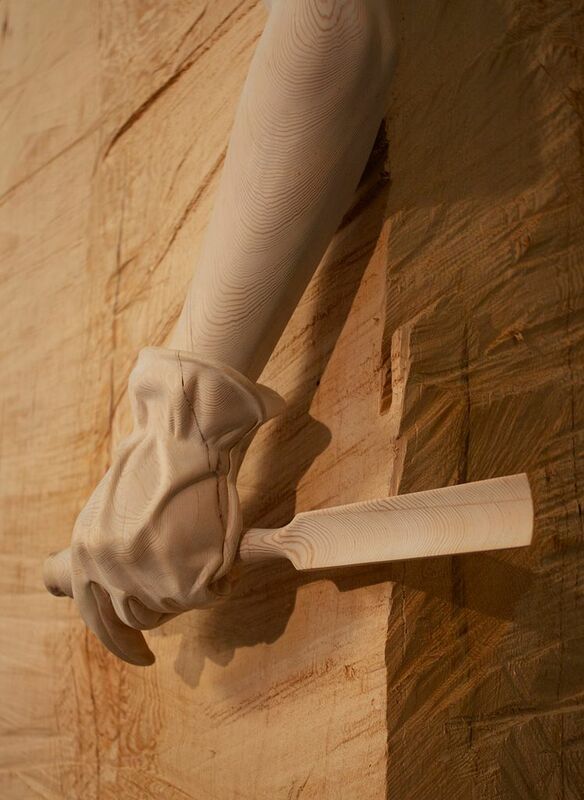 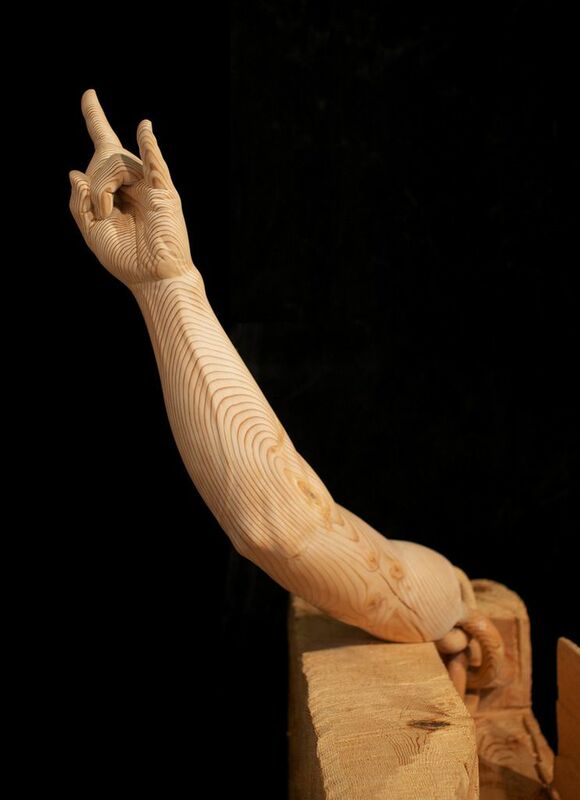 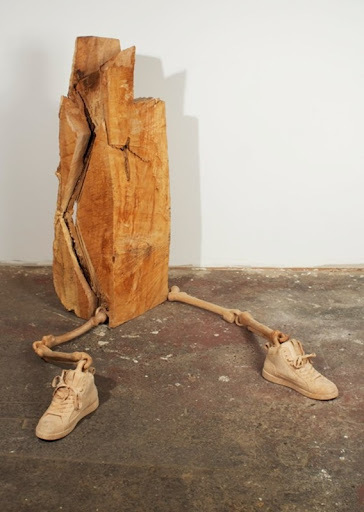 Wood sculpture by Dan Webb .